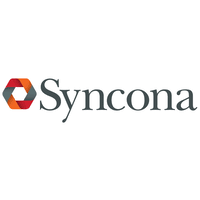 Syncona Ltd (LON:SYNC), a leading healthcare company focused on founding, building and funding global leaders in life science, today notes that its portfolio company, Autolus Therapeutics plc has filed a registration statement on Form F-1 with the U.S. Securities and Exchange Commission relating to a proposed underwritten public offering in the United States of its American Depositary Shares (“ADSs”), each ADS representing one ordinary share. The proposed maximum aggregate offering amount specified in the filing is 4,000,000 ADSs, which does not include the underwriters’ option to purchase 600,000 additional ADSs. The final price per ADS in the offering will be determined following a bookbuilding process.